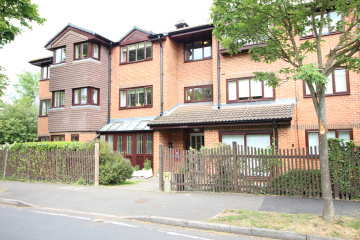 Offered with vacant possession this ground floor warden assisted retirement apartment for the over 60's with an emergency pulley cord system, communal residents lounge, kitchen and parking facilities to the rear. Situated close to North Cheam's shops, services and bus stops which will connect you to Sutton, Epsom and Morden town centres. Cupboard housing water tanks, entryphone system, storage cupboard, electric heater. Fitted with a range of high and low level cupboards and drawers, roll work top surfaces, inset single drainer stainless steel sink unit with mixer tap, built in four ring electric hob with extractor hood above, built in electric oven, space for upright fridge/freezer, plumbing and space for washing machine, part tiled walls. Range of built in wardrobes, electric heater, double glazed window, alarm pulley, coving to ceiling. White suite comprising panel enclosed bath with shower attachment, wash hand basin, concealed system w.c. part tiled walls, extractor fan, electric wall heater, alarm pulley. Residents lounge, kitchen and guest stay over room. 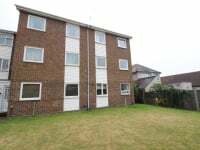 Set in well maintained grounds with parking facilities situated to the rear.